It’s that time of year again! For the entire month of March, the Willamette Weekly is accepting nominations for their annual Best of Portland awards. As a cannabis dispensary, Farma and its staff are eligible for nomination in three categories: Best Dispensary, Best Organic Selection, and Best Budtender. We encourage any customers, fans, and cannabis connoisseurs who have valued their experiences at Farma to nominate us here in any applicable categories. Please take the time to nominate your favorite grower for Best Cannabis Farm as well. Farma has taken several Best of Portland awards in the past two years, thanks entirely to our loyal customer base. 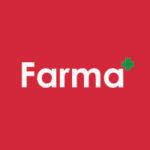 We’d like to extend our thanks once again to each and every Farma customer for your continued support and patronage. We look forward to the announcement of this year’s award winners and wish the best of luck to everyone involved. *Nominations will take place throughout March, with in-category voting taking place during the entire month of April. Make sure to look over the Weekly’s extensive list of non-cannabis categories to honor all of your favorite Portland experiences with nominations.